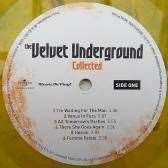 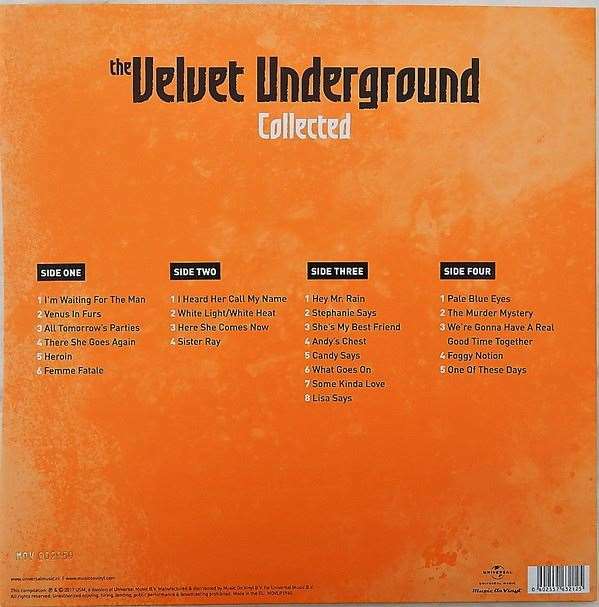 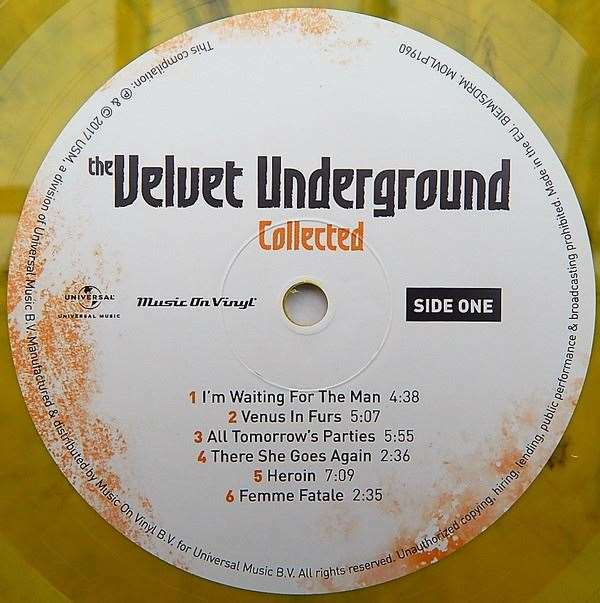 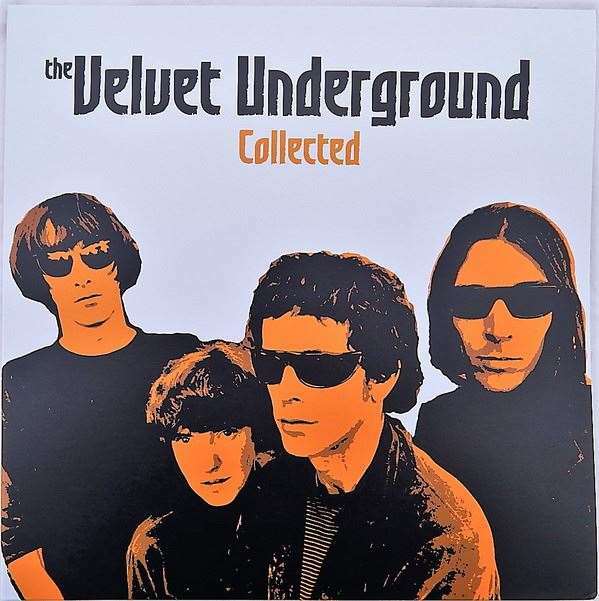 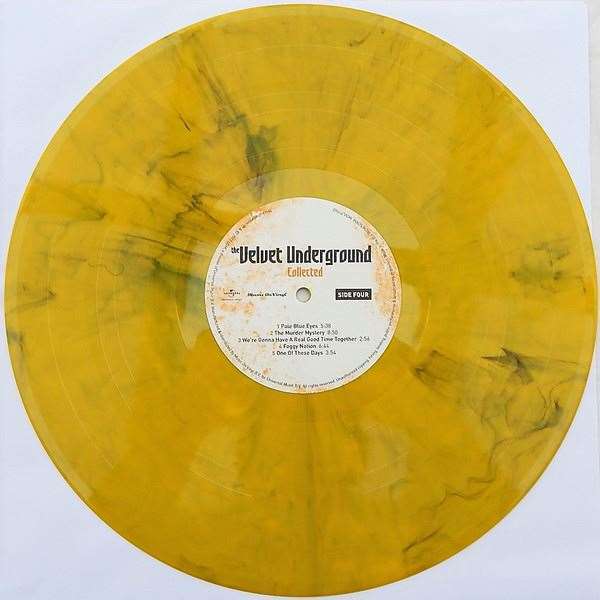 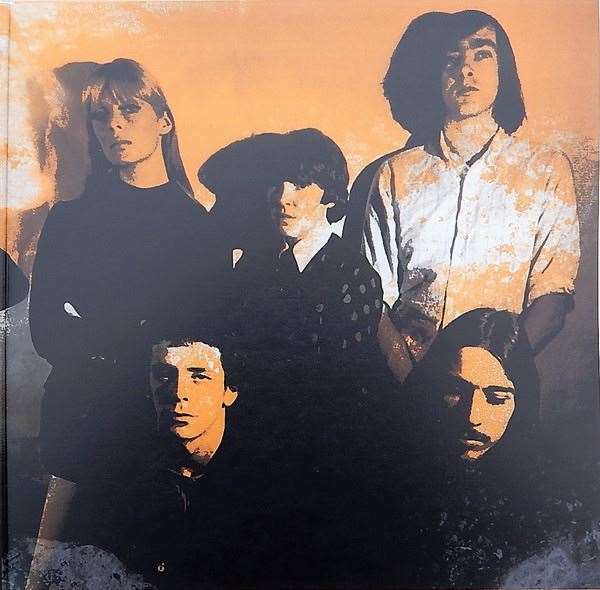 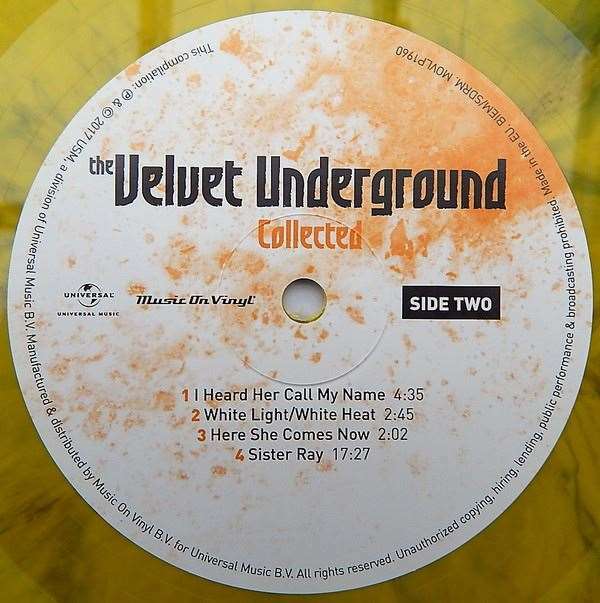 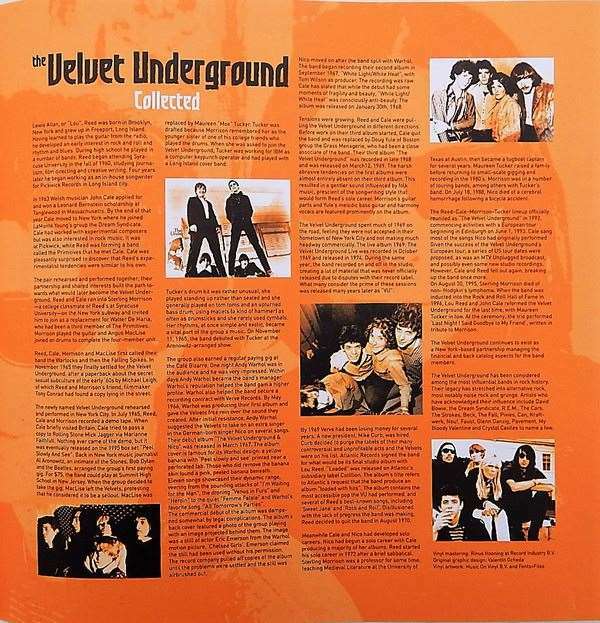 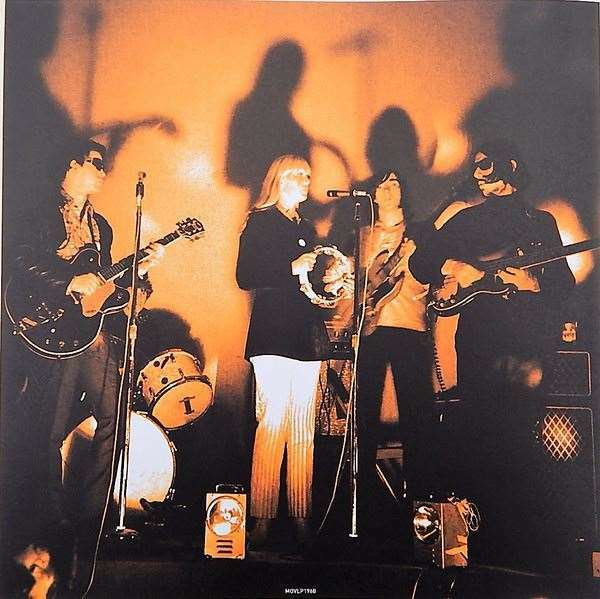 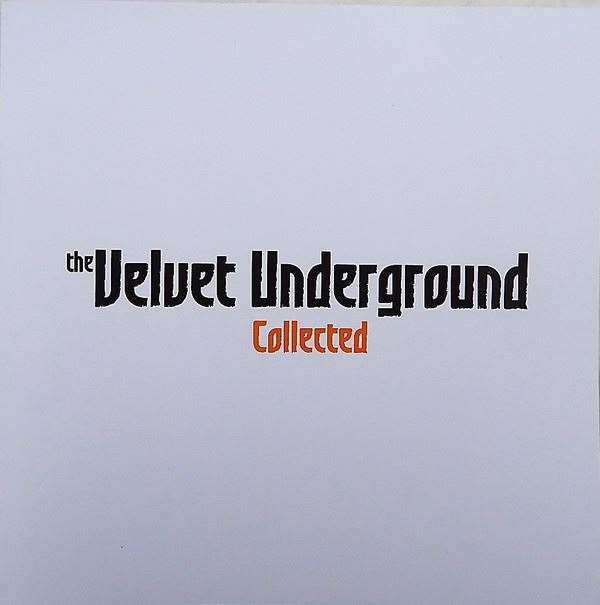 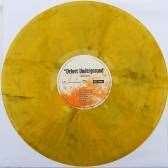 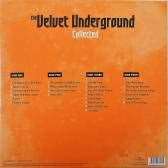 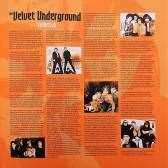 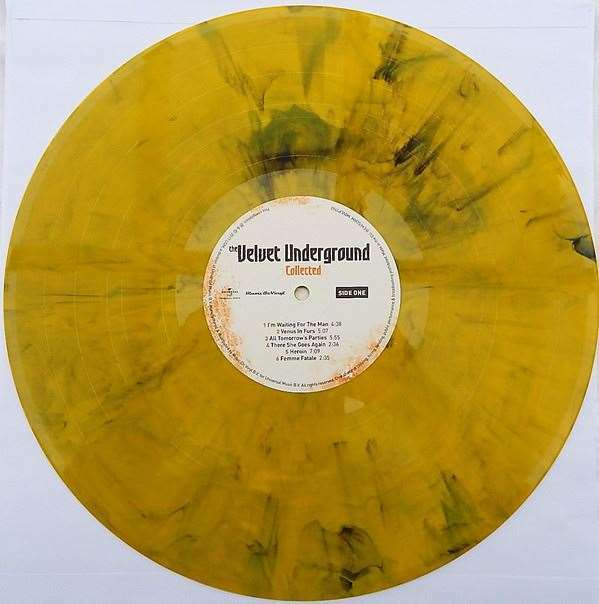 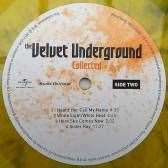 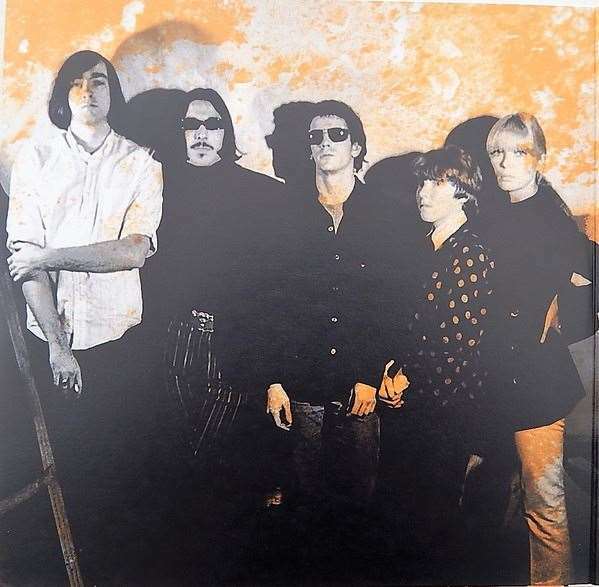 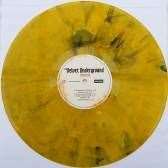 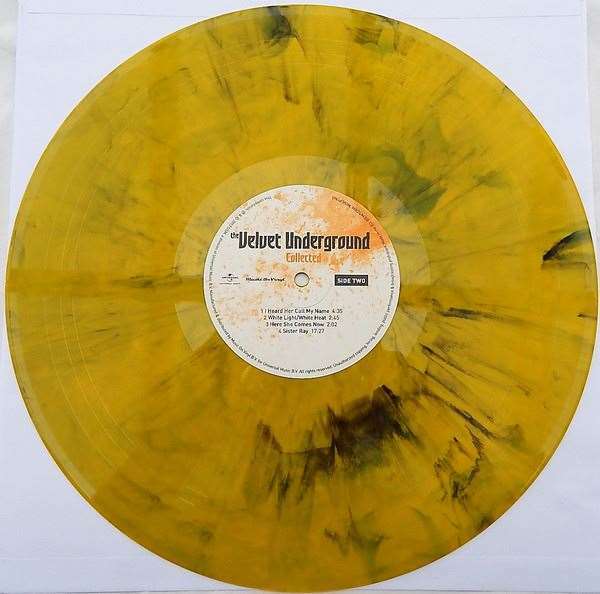 The Velvet Underground - Collected 12"
Limited edition of 3.000 numbered copies on 180 gram audiophile "banana peel" yellow vinyls. 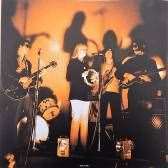 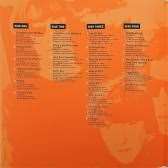 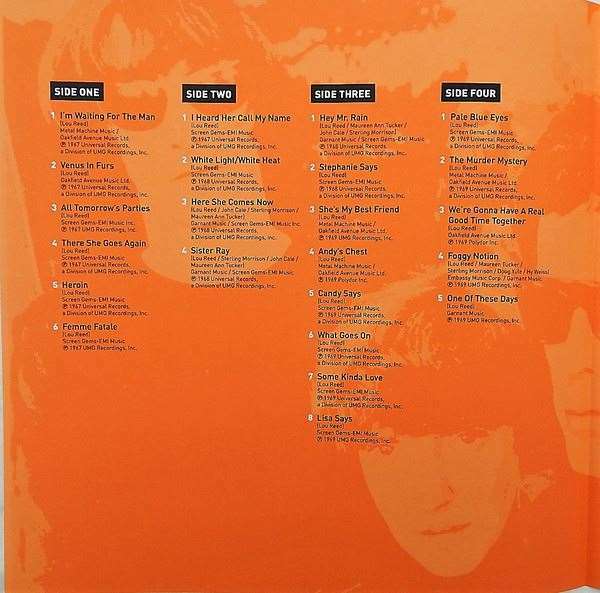 Gatefold cardboard cover, it includes a booklet with liner notes. 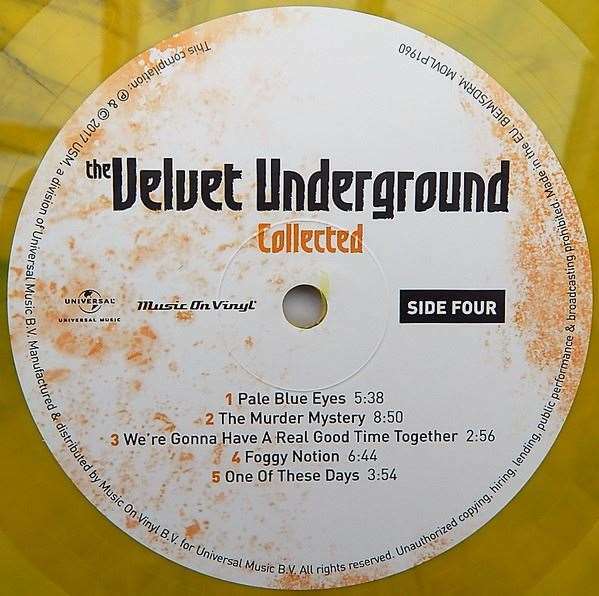 - one black colored with the words "COLLECTED Series - Music On Vinyl"
- one gold colored as visible in the pics.